The Converse Blog: The Converse Blog: Converse in the NBA Playoffs and REM eyewear. 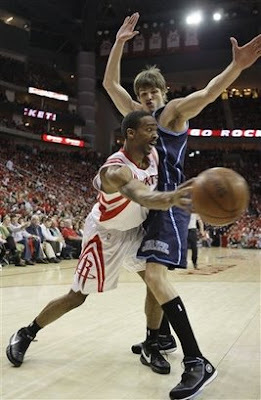 The Converse Blog: Converse in the NBA Playoffs and REM eyewear. Through the first week of the NBA Playoffs there have been some amazing upset wins and some boring blowouts. 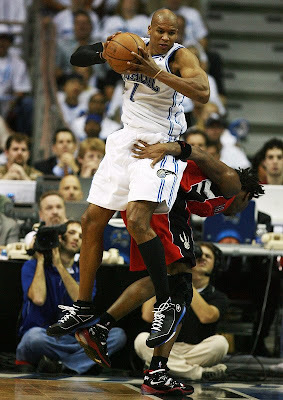 However, today I am going to focus on Converse in the NBA Playoffs. Two of the Converse Players with the best PE edition sneakers this season have been the two rookies that Converse signed. Acie Law from Atlanta and Alando Tucker from Phoenix. Acie is the only one of the two that has logged minutes in the playoffs. Below he is seen wearing a PE edition of the Converse 099. No Converse player has had a bigger impact on his team this year than Andre Miller, who is without question the MVP of the 76ers. 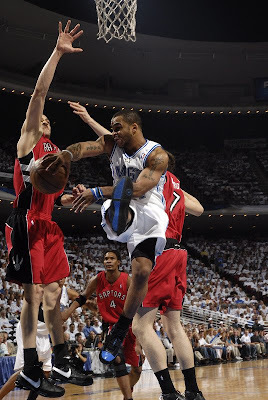 For most of the season Andre has been wearing the Converse Game Time seen in two colorways below. 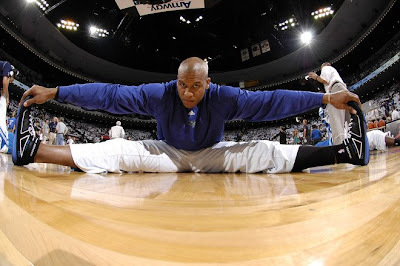 I wasn't exactly thrilled when Maurice Evans got traded from the Lakers to Magic. For one he was going to a team with another Converse player and we wouldn't be seeing any more Laker PE's of the Converse Hops. 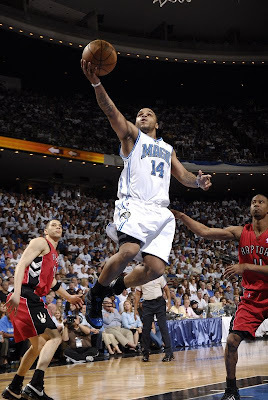 However, since joining the Magic, Maurice has earned the starting SG position which would have been hard with the Lakers. Here he is wearing the Converse Hops. 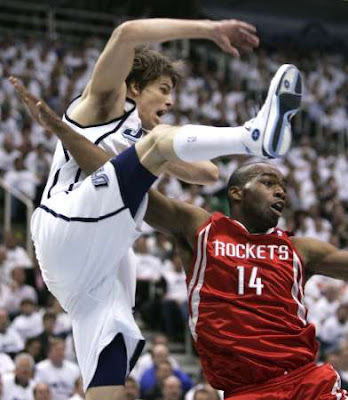 I was thrilled when Kyle Korver got traded to the Jazz. There would be another team in the NBA with a Converse player and they would be some interesting PE's to match the Jazz jerseys. Korver nor Converse has disappointed since the trade. 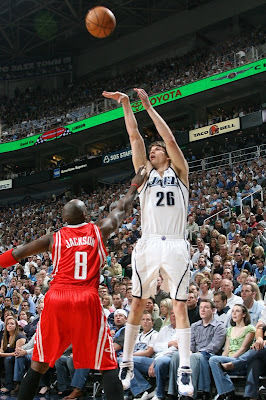 Korver is wearing PE Converse Hops. 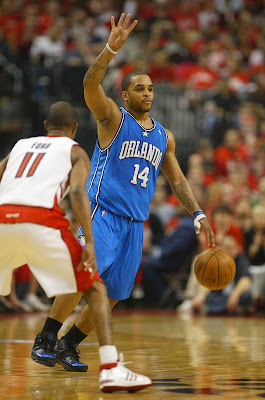 Finally, Jameer Nelson has returned to the Converse 099 after a few weeks of wearing the Converse Hops and even the Wade 3.0 which was nice to see someone wearing them on the NBA courts. Jameer is enjoying a productive first round with the Magic and it looks like they'll be taking the show to the next round of the playoffs soon. 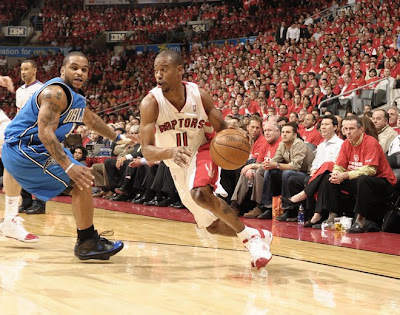 He'll be doing it in the 099's with that patent blue toe cap that has been with Jameer for the better part of the season. Hopefully all of the Converse players will make it into the second round, but only time will tell. The playoffs are sure heating up though and before long it will be so hot we'll need sunglasses to shield our eyes. Hey, speaking of Sunglasses and other eyewear related topics, did you know that Converse and REM eyewear have had a partnership since 1988? I've had two pairs of Converse glasses and one pair of Converse sunglasses. Well today it was announced that Converse and REM will continue their partnership. Under the new contract, REM will produce Converse eyewear through 2012 and hopefully beyond as well. You can read more it here and view the products here. Before I go, all of the pictures are from Yahoo sports by way of Getty Images. Thanks for checking out the Converse blog. Please take a second to leave a comment and vote in the poll on your way out. Thanks, enjoy Monday's you only get one a week. Converse really need to learn to market just more than just one athlete. All of these Converse players are in the playoffs. Would it kill Converse to do a commerical with these guys. Oh and Andre Miller should have had shoe with his name on it a long time ago.